Well Fight Fans the wait is now over, you are able to get your tickets now for the eagerly awaited ProKick event back in #Newtownards for The Ususal Suspects 3 at the Queens Hall. the ProKick Bash is set back Newtownards on June 11th 2017. Door open 3:pm with the first bout and bell sounding at 3:30 sharp. Ringside tickets are £30 and outer ringside £20. 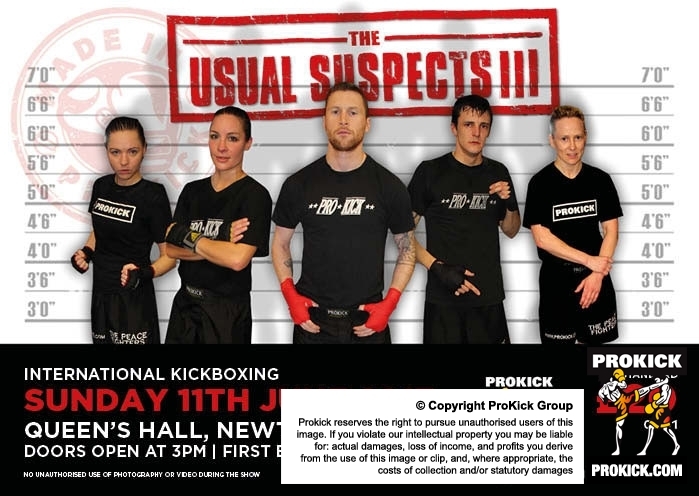 Don't get left out in the cold as tickets have already been reserved in Advance of #TeamProKick #International #KickBoxing . The #UsualSuspects3 #event set for the 11th June 2017 at the Queens Hall in Ards .